Look no further for an even cheaper way to get your one sided bandit signs! Just let us put our promotional advertisement on the back, and enjoy sweet discounts. 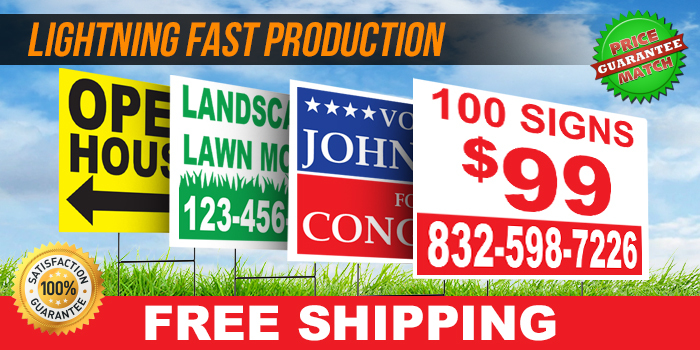 "100 Signs $99, and our phone number"
For orders that will include the use of H-Stakes, such as yard, parking, real estate, and election signs, please select "Vertical" flute. 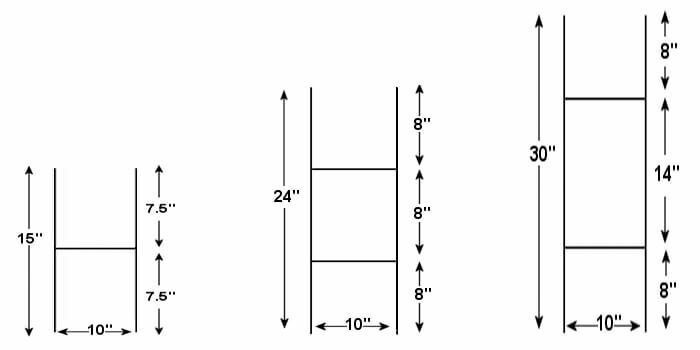 Please note that H Stakes will NOT work with horizontal flute direction. "Ships in 48 Hours" refers to providing a tracking number via UPS once your order has completed production. UZ Marketing has a UPS pickup truck come twice a week for Free Shipping (5-7 business days option). Paid shipping is taken to the UPS store daily. Please select the corresponding shipping option if you require a guaranteed in hands date.